In this final episode of our first season of En Route avec Coffee Break French, Mark is back in Menton, talking to some of the locals. We'll find out more about the type of people who visit Menton from the hotel manager, we'll learn about Menton's connection to the artist Jean Cocteau, and we'll discover how the local dialect is being maintained. As usual, this episode is presented in a combination of French and English, and the aim of the episode is to help you learn more about the area and about the French language, while practising your listening skills with engaging content from a variety of speakers with different accents and speeds of delivery. This season of En Route avec Coffee Break French features 10 audio episodes, all of which will be included in the podcast feed. Just stay subscribed to the podcast to enjoy each episode. If you'd like to benefit from transcripts, bonus audio recordings and some exclusive video materials, you can access the on Instagram. In this episode of En Route avec Coffee Break French, Mark heads to the Principality of Monaco where he attends the Changing of the Guard, meets on Instagram. Welcome to our "frogs and dogs" episode of En Route avec Coffee Break French. In this episode Mark starts in the village of Sospel which straddles the Bévéra river and is a popular destination for walkers and cyclists. He then travels on to the village of Gorbio and has a coffee break with photographer Jilly Bennett whose passion is for photographing the life - and dogs - of the village. As usual, the episode is full of fascinating insights into the local area, and plenty of French to help you practise your listening skills. 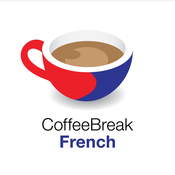 This season of En Route avec Coffee Break French features 10 audio episodes, all of which will be included in the podcast feed. Just stay subscribed to the podcast to enjoy each episode. If you'd like to benefit from transcripts, bonus audio recordings and some exclusive video materials, you can access the on Instagram. Our destination for episode 7 of En Route avec Coffee Break French is "Nice the beautiful", as the city is referred to in the unofficial anthem which is in the local dialect, Niçard. In this episode Mark visits Nice, takes a ride on a vélotaxi and has a Coffee Break with a friend from Scotland who now lives and works in the area. This season of En Route avec Coffee Break French features 10 audio episodes, all of which will be included in the podcast feed. Just stay subscribed to the podcast to enjoy each episode. If you'd like to benefit from transcripts, bonus audio recordings and some exclusive video materials, you can access the on Instagram. In this episode we're investigating an interesting aspect of life in this part of France: what it's like to live and work in a border town. Mark travels north to the town of Breil-sur-Roya, and to do so he has to cross the border between France and Italy a number of times. Through the conversations featured in this extended audio episode you'll learn about life in les villes frontalières . This season of En Route avec Coffee Break French features 10 audio episodes, all of which will be included in the podcast feed. Just stay subscribed to the podcast to enjoy each episode. If you'd like to benefit from transcripts, bonus audio recordings and some exclusive video materials, you can access the on Instagram.